If you are looking for world-class shim stock materials, then Shim Stock Metals will be the ultimate solution for you. This large supplier of different high-quality materials started their journey in the year 2013. Since then they have been continuously serving the best for their customers. Let’s check out what they supply for their customers. They mainly supply four types of Shim Stocks including Brass, Stainless Steel, Copper, and Pre-Cut Shim Stocks. Shim Stock Metals is the manufacturer as well as the supplier of world-class specialist and maintenance shims. This company focuses on South Africa along with the worldwide market. The best thing about this company is they continuously aim to achieve the best. They constantly monitor the quality so that they can maintain their high standards. That is why they have worldwide satisfied customers. Customer satisfaction is their prime motto. As a result, they strive to deliver high standards consistently. Apart from the brass shim stock, copper shim stock, and stainless steel stock this brand manufacture and supply custom shims and shim washers to their clients. Shim Stock Metals has turned into a leader in this shim stock industry because of their excellent rates on International as well as local shipping. Now let’s concentrate on the products. 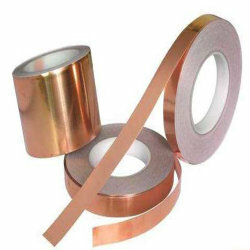 First of all the copper shim stock of this brand, Shim Stock Metals is corrosive resistant. Along with that, it is highly conductive. This Copper Foil stock is chemically approved and non-magnetic. They guarantee you 99.9% purity of copper. They sell it in either sheet form or rolls. The material is so thin that you can cut out and give it any shape according to your requirement. Sometimes people wonder what shim is. It’s nothing but fabricated pieces. You can use it for various reasons including accurate leveling, tighten sealing, or you can even use it for support or better insulation. If you want to fulfill the gaps between two parts of the machine, you can go for shims. It’ll help you to avoid expensive replacement. It’ll save your time too. Brass shim stock has 35% Zinc and 65% Copper. If you want to buy it, you’ll get two types of forms, sheet, and roll. This thin material is an excellent combination of workability and form-ability.In short, it’s not a machinable item. But you can cut it out. We have already mentioned that shims are actually fabricated pieces. So, it comes with various utilities. For example, you can cut it and insert it between multiple objects. Apart from that, this is also useful for support, sealing, leveling, and insulation. You can again use this Brass shim stock for filling the machine gaps. It’ll save both your time and money. Let’s check out the quality of these products. This brand gives the highest importance to the quality. That’s because the clients generally require exact specification with precision materials. That is why they check the quality before supplying. They only supply chemically tested products so that they can ensure the quality. You can avail different discounts. For example if you spend above 1K, you can get a 10% discount. If you spend above 3K, you can get a 15% discount. If you spend above 5K, you can get a 20% discount. If you spend above 10K, you can get a 30% discount. So don’t miss this opportunity. Grab these fantastic deals now.